When you work in the creative industries, an online portfolio is an essential tool for promoting your work to potential clients or employers. You’ll want to make sure you show off your best work and present yourself as professionally as possible. This can take a lot of time and effort to perfect, but it’s well worth the investment. So how do you build a web-based portfolio that will lead to success? Creative Boom has teamed up with website-building tool Squarespace to provide six easy steps to help you get there. A great project won’t have the same impact if you’re not displaying it in the best possible light. Bite the bullet and take some time to create high quality images that really show off your work. You know the kind of images we mean… For website designs, you’ll want to mock up a professional photo of an iPad or iMac in an appealing setting. If it’s a brand identity project, you’ll also want to display all the materials in situ. The other reason why you’ll need great imagery is for your own PR purposes. Because what if a blog like Creative Boom wants to write about you and share your work? It’s like killing two birds with one stone, so make sure you create fantastic imagery. One little extra tip: avoid white backgrounds! Blogs and online magazines hate them. Instead, use a light coloured background that suits each project. Next step is to provide some context to your work. Add detailed descriptions to each project and include things like the client brief and the process you went through to come to a successful outcome. You might also want to add any benefits that your client enjoyed as a result of your hard work. Don’t forget to include a link to any relevant websites. First impressions really do count. When someone lands on your portfolio site, you’ll want them to feel compelled to stay and, ultimately, decide to hire you. In which case, you’ll need to ensure several key things. Firstly, you’ll want your portfolio design to be simple and elegant. Don’t over-complicate things by trying to be clever or making your landing page too busy. Just keep the design as clutter-free as possible. What work have they done before? Are there any examples of their recent work? Which other brands have they worked for? How much do they charge? What’s their day rate? With the above in mind, make sure your portfolio is easy to navigate and that clear goals are in place for each section. Keep the navigation simple and stick to the tried and tested formula of content, including: Home, About, Latest Work, News (or Blog), Contact. Consider adding a simple introduction to immediately describe who you are and what you do. Just keep it short and sweet, leaving the longer description for your About page. Or you could even just add a snappy strap-line below your name or logo, immediately communicating your creative discipline. Don’t forget the entire purpose of your online portfolio, and that’s to encourage potential clients or employers to hire you! Ensure your website is structured in such a way that it invites people to take some sort of action, leading to your ultimate goal. For example, you might want them to fill in a contact form and leave their details. Or you might want them to buy some of your work. It might be that you’d like them to sign up to your monthly newsletter. Whatever it is, think about your target audience and what they want. Create an online portfolio that leads them on a journey to hire you. Don’t forget to display prominent contact details throughout, including your phone number, email address and social media networks. Also, make it clear that you’re available for work and that you want people to hire you. Don’t assume that people will understand this sentiment because they won’t. A classic ‘Hire Me’ button should do the trick, as it makes an excellent and compelling call-to-action. There is nothing more frustrating than landing on a portfolio site only to discover there’s no About page. Even worse is when that section only includes a list of recent clients or exhibitions, without any description of the person or agency in question. Add an About section and write an engaging and compelling bio that really sells yourself, your skills and experience. When drafting this copy, don’t try and be clever by using flowery language and fluffy expressions. You’ll only confuse your audience. Keep it simple and conversational yet factual. Avoid too many adjectives and write as though you’re talking to a friend, describing clearly who you are, what you do, where you do it, why you do it and how you do it. Be humble yet confident in your abilities. Be approachable not pretentious. Read back your final bio to a friend and get their honest opinion. Don’t forget to demonstrate all-round experience, rather than just pointing out your creative skills. Yes, you’re good at graphic design but you’re also an excellent communicator, can meet deadlines and offer solid consultancy services, helping brands to successfully reach their customers. 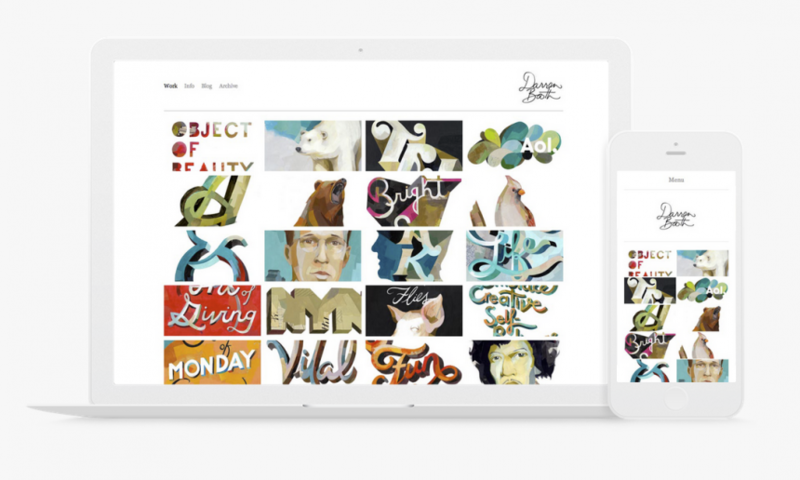 Take a step back and be ruthless about what you present in your online portfolio. You know the old saying ‘You’re only as good as your last piece of work’? Well, that applies here. Get a second opinion, if you’re not sure which projects to include. When it comes to deciding how many to showcase, it’s worth remembering that clients don’t need to see everything you’ve ever done. They’ll only want to see your best work. Just make sure you feature a varied range to really show off your creative diversity and cater to different needs. And if you’re showing off different projects, it’s definitely a good idea to categorise and label your work. This allows visitors to easily find relevant projects that relate to the services they’re looking for. If you’re struggling to fill your portfolio, then you should include non-client work, such as your own little side projects to help demonstrate your flair and creativity. 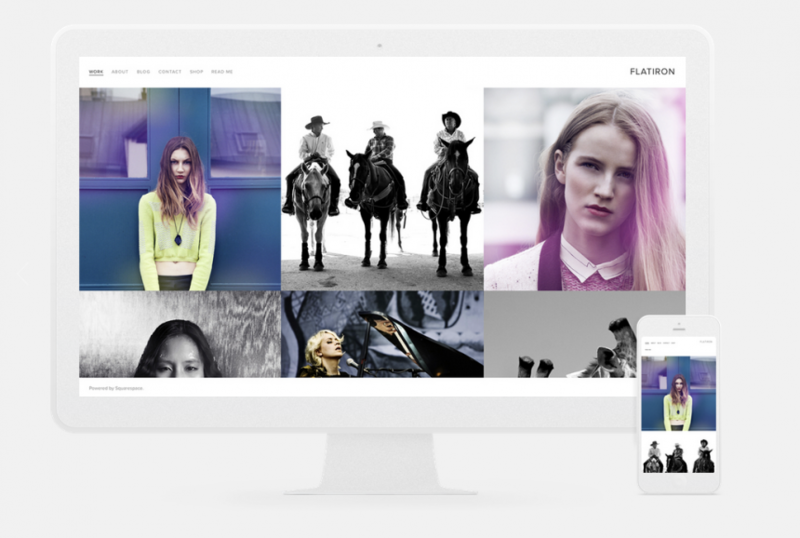 an online portfolio should be a living and breathing entity. It should move with the times and include any new work wherever possible. Keep your portfolio fresh and interesting by constantly updating it and telling potential clients what you’ve recently been up to. If you enjoyed these tips, then keep your eyes peeled for the next article in this four-part series, brought to you by Creative Boom in association with Squarespace, the website publishing platform that makes it easy to create beautiful websites, portfolios, blogs and online stores. For a short time only, Creative Boom readers can benefit from 10% off their first purchase using the code: wommapedia.